WASHINGTON – Former Arizona Gov. 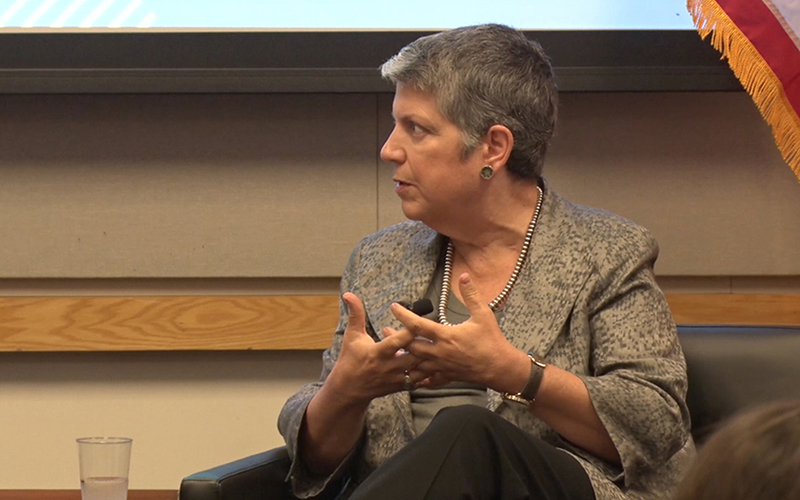 Janet Napolitano thinks there is a deal to be had in the current renegotiation of NAFTA, if the deterioration of relations between the United States and Mexico doesn’t get in the way of finding common goals. 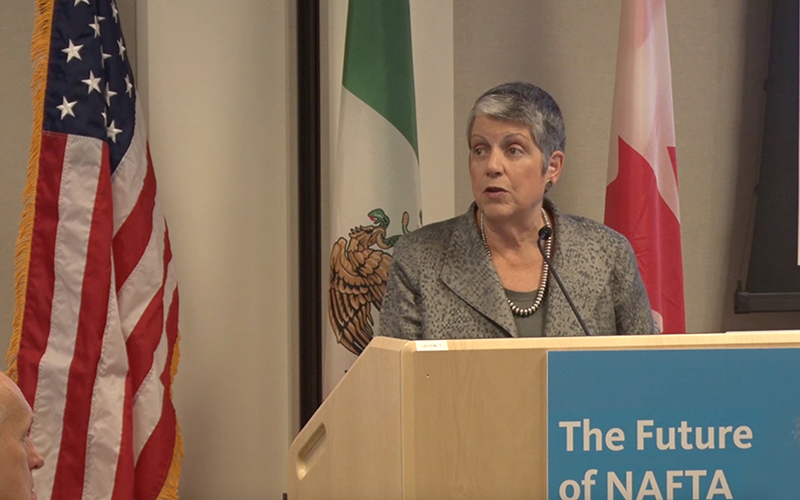 Her comments came at a daylong forum at the Washington center for the University of California – where Napolitano now serves as president – that brought together academics, ambassadors and trade policy experts to discuss prospects for modernizing the North American Free Trade Agreement. All speakers at the event agreed that an amended NAFTA will better serve the U.S., Mexico and Canada than walking away from the deal – as Trump has threatened he might do if he is not satisfied. Sarukhan said the process of renegotiating NAFTA is going to be more complex than many anticipate, but a renegotiated deal would be worth the effort. At a time when other trade deals – the Trans-Pacific Partnership and Britain’s planned withdrawal from the European Union – are coming apart, the NAFTA nations could set the new standard, he said. When NAFTA was negotiated in 1994, it lowered trade barriers and allowed more-or-less free-flowing trade across North America’s borders. It has been credited with booming trade between the three nations. Mexico is Arizona’s largest trading partner, buying $8.3 billion in exports from the state and sending $7.5 billion in imports to Arizona in 2016, according to statistics from the International Trade Administration. Canada is the state’s No. 2 trading partner, buying $2 billion in Arizona goods and services in 2016 and selling it $1.3 billion in imports that year, according to the data. Sarukhan said that if the Trump administration continues to prioritize U.S. interests over those of Mexico and Canada, the U.S. risks losing exports to its two largest trading partners. 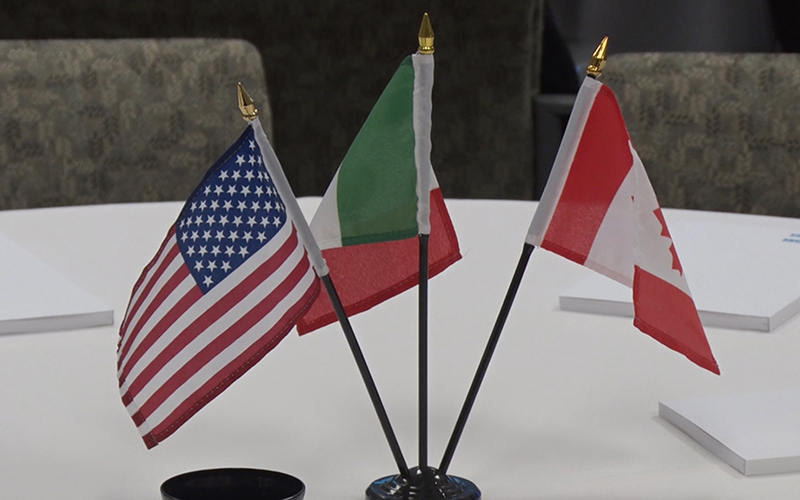 But Thomas D’Aquino, a Canadian who is co-chair of the North American Forum, echoed Napolitano’s optimism for a modernized deal that can benefit all three countries. He said that if NAFTA becomes a truly trilateral agreement and does not favor one nation over the others, North America could become the leading regional competitor in the world. Napolitano said negotiations are important for reasons other than trade, particularly for Mexico and the U.S. Both nations, she said, share concerns and issues that transcend borders and unless negotiation efforts continue, the diplomatic relationship could continue to decline. She said border states like California share geography and a cultural history with Mexico, in addition to hosting communities of migrant workers. But Mexican public opinion of the U.S. has plummeted in the past two years, she said. Napolitano, who was secretary of Homeland Security under President Barack Obama when the DACA program began in 2012, also expressed doubt that Congress will be able to approve the DREAM Act before March, when Trump has said he’ll rescind the deferred deportation program. Meanwhile, she urged Arizona DACA recipients to continue to apply for renewal of their deferred deportation status and to speak out on the issue.